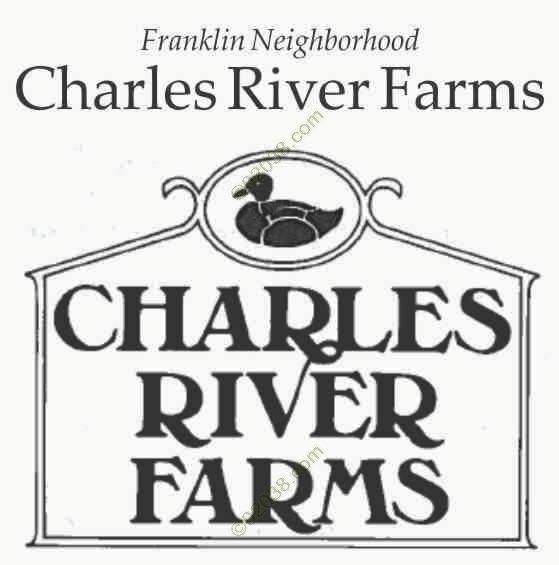 Developed by Toll Brothers, Charles River Farms is one of the largest subdivisions in Franklin, Massachusetts. A total of over 160 homes were built. 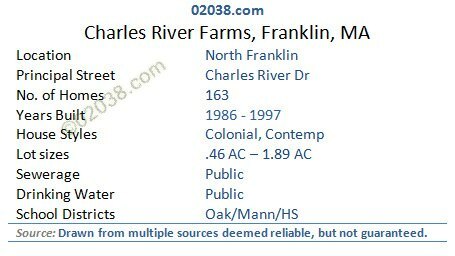 There is enough housing stock in this neighborhood that houses for sale in this Franklin, Mass community are often available. Construction began in 1986 and the final phase was completed in 1997. Colonial homes predominate. The sizes of these homes range from approximately 2200 square feet to over 3000 square feet, exclusive of finished basement space. Lots vary in size from about a half an acre to nearly 2 acres. Homes at Charles River Farms come with either two or three car garages. The neighborhood offers underground utilities and public water and sewer service. 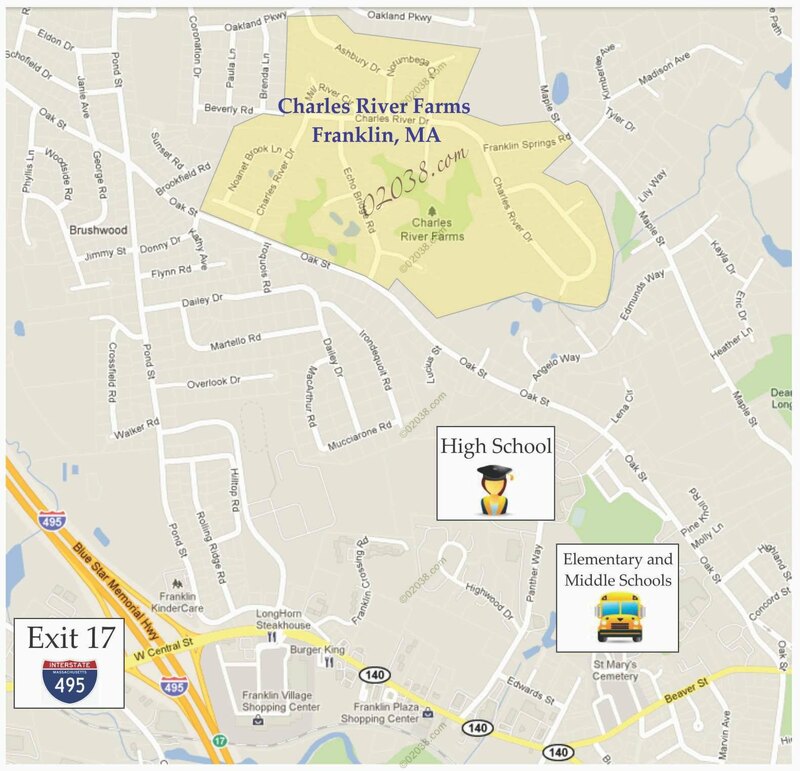 Charles River Farms is within an easy drive of Franklin’s Oak Street Elementary and Mann Middle Schools as well as Franklin High School. There’s ready access to plentiful shopping and services in Franklin and along I-495. 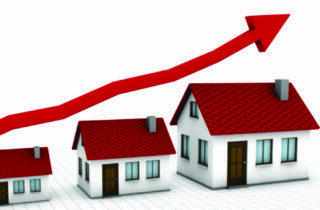 Contact Warren if you’d like to get inside any homes for sale in Franklin, MA. 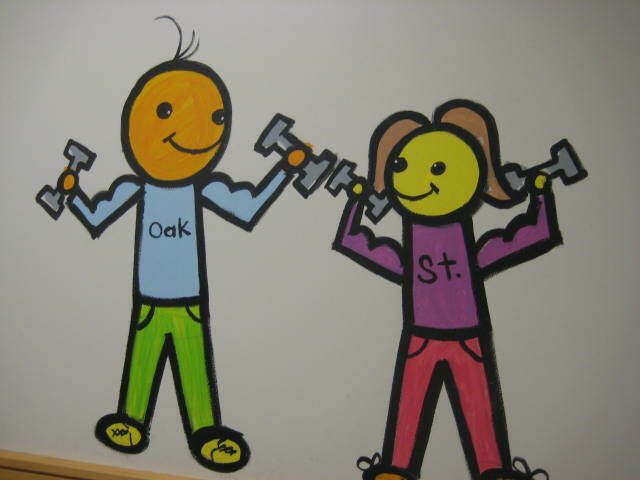 Follow the hotlink to view Franklin homes for sale by school district and by house style.